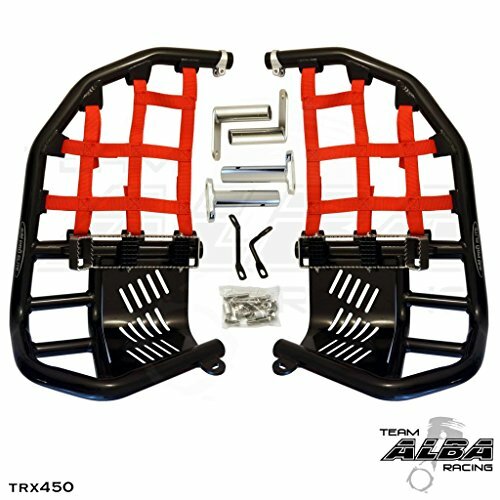 This is an Alba Racing Propeg nerf bar set for the Honda TRX 450R for years 2004-2009. This kit comes with left and right nerfs and everything you need for installation. They are manufactured with tough 1-3/8" aluminum tubing which is buffed after the manufacturing process and then anodized for longer lasting finish. Mounting brackets are chrome plated steel. 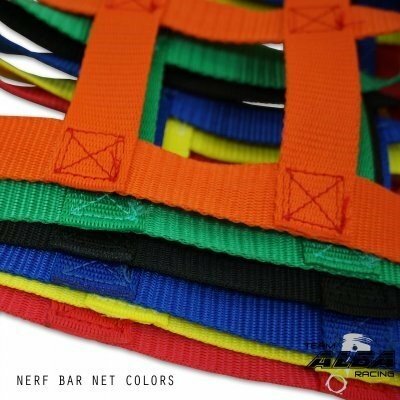 Your choice of net colors. Available in black and silver frames, see other listings. This Propeg Nerf Bar Fits Honda TRX450R for the years 2004-2009. Other fitments available with other listings. Sold in pairs, right and left side, with your choice of net colors. Made with 1-3/8 inch aluminum tubing. Aluminum is fully polished, then anodized for long lasting finish. 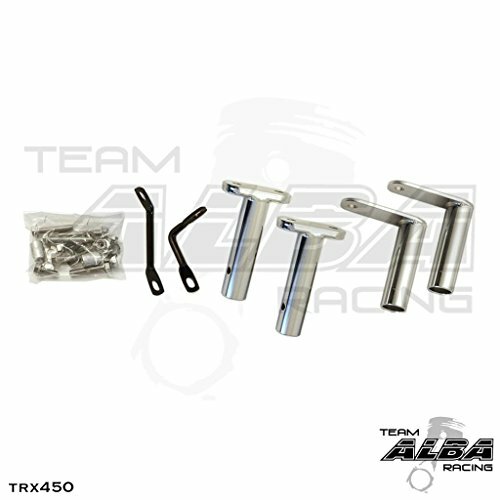 If you have any questions about this product by Alba Racing, contact us by completing and submitting the form below. If you are looking for a specif part number, please include it with your message.